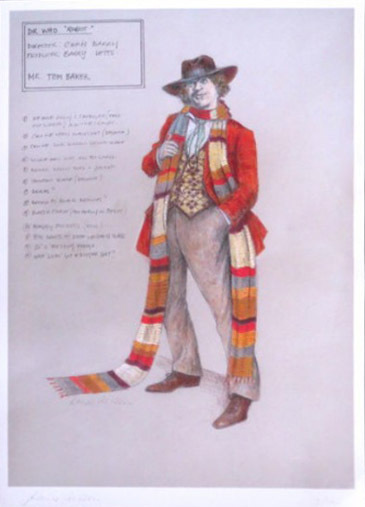 Making My 4th Doctor Costume: 4th Doctor limited edition costume design print on eBay! 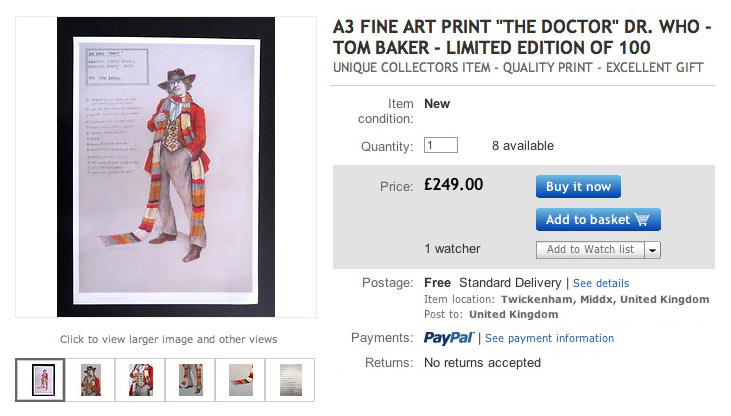 4th Doctor limited edition costume design print on eBay! I just came across this item on eBay. I find it a little curious as it is different from a version of the James Acheson costume design I had previously seen (see right), making me wonder if this has been drawn more recently. 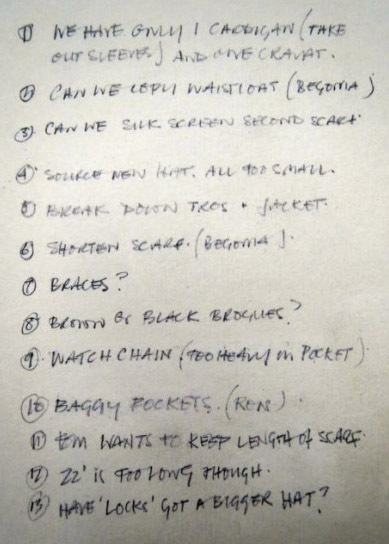 Still, its a nice item and according to the listing hand signed by the designer. 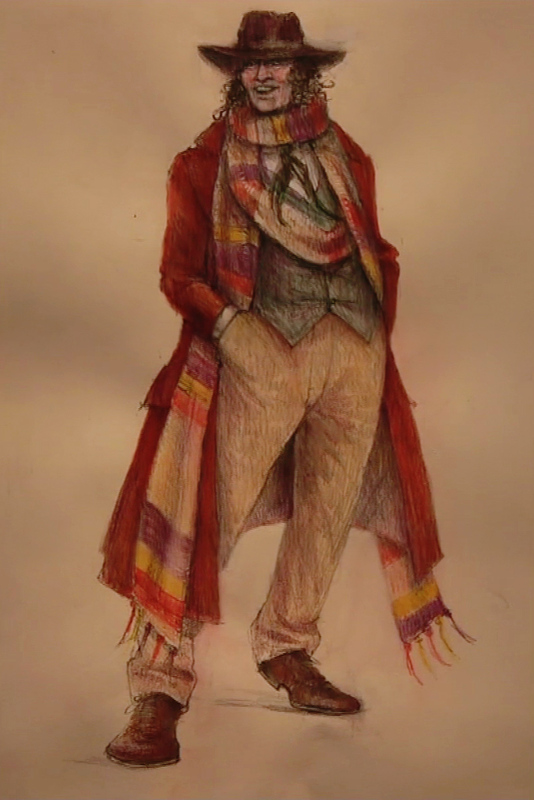 This year Doctor Who celebrates its 50th Anniversary. Here is your opportunity to purchase a piece of television history! 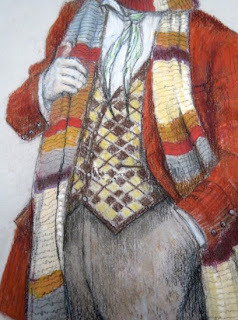 Celebrated Costume Designer James Acheson designed the costumes and monsters for more than 30 episodes of Dr Who between 1972 and 1976. 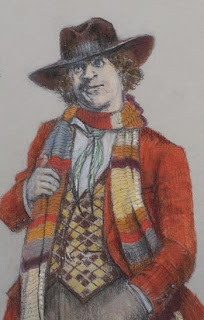 Acheson worked initially with Jon Pertwee (The 3rd Doctor) but went on to create the iconic look for the fourth incarnation of “Doctor Who”, Tom Baker, who is still considered by many as the most beloved and successful of the actors to have played the role. 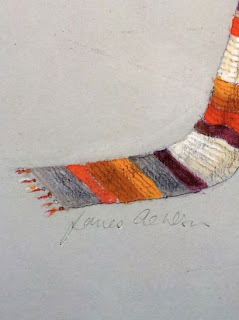 Acheson’s initial design of the brown fedora hat, the red corduroy jacket and the ridiculously long striped scarf, is an image that has endured for more than 35 years. James Acheson has worked on international film productions for more than 30 years. 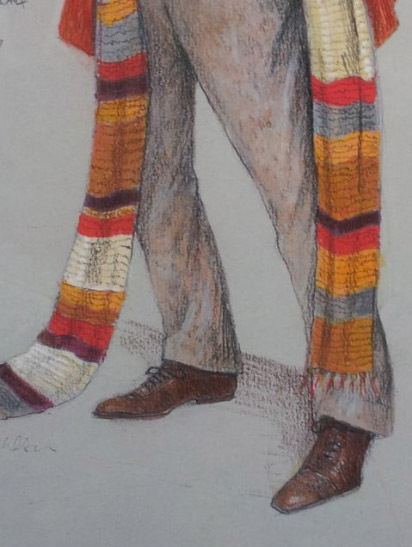 His work includes costume designs for the ‘Spiderman’ trilogy and most recently ‘Superman -Man of Steel’. He has won no less than 3 Academy Awards (Oscars) for his film work on such films as ‘The Last Emperor’,’ Dangerous Liaisons’ and ‘Restoration’. This is a high quality giclée print of the memorable costume design for Tom Baker’s first appearance as the 4th Doctor Who, in the first episode of “Robot”, complete with costume notes listed at the side of the drawing. This print is now offered for sale, in a strictly limited edition of 100. 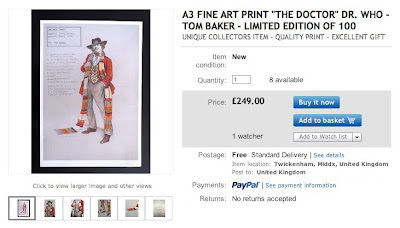 Each of these prints is individually signed and numbered by the artist. Printed on Hahnemüle Matt Fine Art Photo Rag 308g/m2 paper.